Have a go at golf!  To celebrate our annual Titirangi girls classic we are holding a FREE have a go at golf session for women alongside lots of family fun. We will have games and activities for the whole family to enjoy, followed by a BBQ! Titirangi is regarded as one of New Zealand’s top courses and is the only one in the country designed by Dr. Alister MacKenzie. MacKenzie’s designs are notable for their sensitivity to the nature of the original site and he is admired for producing holes that offer an ideal balance of risk and reward. After designing Titirangi in 1927, MacKenzie went on to design some of the world’s top courses including Augusta, Cypress Point and Royal Melbourne. 2009 saw the finish of an extensive, multi-million dollar upgrade programme, confirming Titirangi’s reputation as the best golf course in Auckland. The par 70 course, set amongst native bush features elevated tees, rolling fairways, challenging bunkers and greens with pronounced undulations. Our par 3’s face the four points of the compass so no matter what the weather conditions, you experience a different test on each hole. We pride ourselves on being Auckland's number 1 ranked course and endeavour to have our course and facilities in top condition all year round. Referred to as one of the harder short courses of the world, Titirangi is a "second shot" course. In other words your strategy off each tee is important and determines how you approach your second shot into the green. Miss the greens at Titirangi and your short game will be challenged. Titirangi is designed as a walking course with some undulations. The Titirangi experience isn’t limited to just the course. Stunning locker and shower rooms, full and friendly bar service along with professional caterers are facilities members are proud of for themselves and their guests. The Titirangi Cafe offers an all day menu and a range of ready-to-go food. The bar is open from noon until late. We have a small retail shop dedicated to the needs of members. Either individual or group coaching is available with special clinics for beginner ladies and our Sunday morning kids clinics.